Ember Conley has said that she wanted to spend the rest of her career here when she began as the superintendent of the Park City School District in 2013. Sometime during her tenure, though, that calculus changed, culminating in her December announcement that she'll step down from the post at the end of this school year. She hasn't directly addressed the reasons for her departure but has indicated that public attacks on her leadership from parents and community members over the years contributed to her decision. 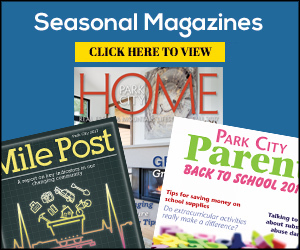 Park City's reputation as a demanding and sometimes-overbearing community is well known in education circles. So much so, in fact, that some have worried it could hinder the district's effort to find a suitable replacement for Conley. It's not simply that the community is hyper-engaged and carries high expectations. Both of those things are actually part of why our education system performs so well. The problem comes when the expectations manifest in counterproductive ways like parents lashing out, without the patience for rational dialogue. Leading a school district is hard enough, and the added burden of wrangling a difficult community undoubtedly takes a toll — perhaps a large enough one to cause someone to leave the top job at the premier district in the state. The price Park City will pay for its fractious tendencies became even more evident this week, as the governing board of Arizona's largest school system, which oversees more than 70,000 students, selected Conley to replace its outgoing superintendent. The fact Conley landed such a position — and was a semifinalist for three others — within three months of announcing her departure from Park City is telling. But it's not surprising. Conley's skills as an educator have been on display throughout her tenure in Park City. Since she took over, our school district has solidified its standing as the best in the state, programs like dual-language immersion and the early-education offerings have flourished, Latino outreach efforts have dramatically expanded and graduation rates have increased. In addition, Conley has become a leading figure in the national discussion about the role schools should play in student mental wellness and how districts can address the opioid crisis. That track record is impressive. And now, after initially envisioning retiring here, she's taking it with her as she leaves. An accounting of Conley's tenure should acknowledge the district has also gone through self-inflicted turmoil during her time, the major missteps being the failed bond measure in 2015 and the related issue of communication breakdowns. But various rosters of the Board of Education shoulder much of blame for those problems, which have led to infighting and significant turnover. Three members have resigned their seats and others have declined to run for re-election in recent years. It's unclear whether the turbulence on the Board of Education contributed to Conley's departure, but it's another major issue that must be fixed if there's any hope of the next superintendent having a smooth tenure. If the problem is not solved, and without serious self-reflection within the community, the district may again find itself searching for a new superintendent in a few years, regardless of how Conley's replacement performs. And if that happens, it would represent another community-wide failure.